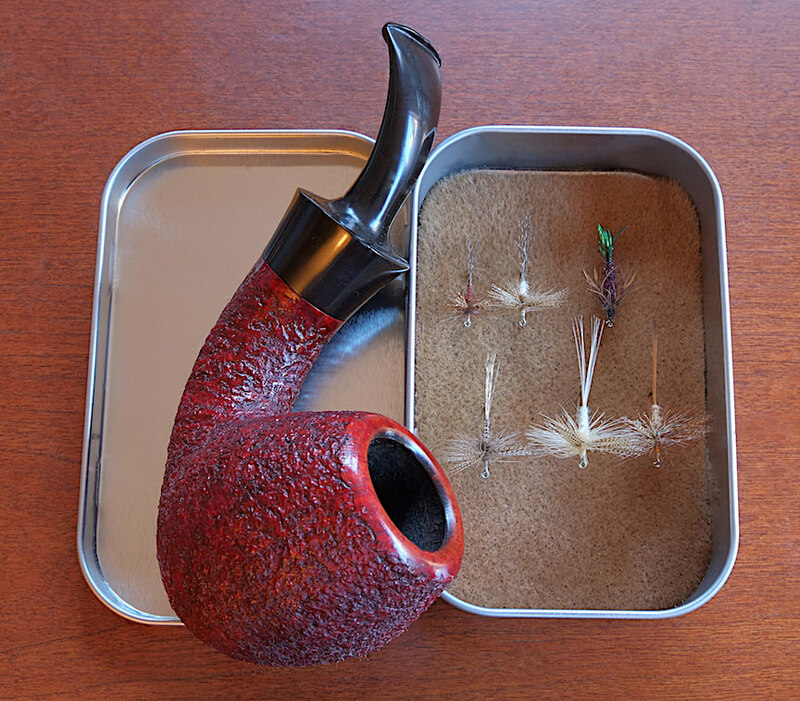 While I love collecting stuff as much as the next pipe smoker, as a matter of principle, I rarely collect stuff without using it. This includes pipes, I smoke my pipes. I’ve never questioned that until two years ago when FredS sent me a pipe for Christmas. It is one of the most uniformly beautifully grained pipes I’ve ever seen. So every time I take it from the rack I wonder if I should be smoking it all. I see puppies in the birdseye. Yeah, I have recurring dilemmas about Fred, too. You're right. There are at least two. I love my FES pipe. I kind of understand the temptation of owning something so nice that you don't want to use it, but, I can't say I have ever had this dilemma. Maybe it is because even if something is exquizit to behold I find a lot of the intrinsic beauty in that it also functions or works as it was intended. Additionally, I am not a collector of anything anymore and having limited resources to spend on myself means that if I am going to buy something because I like it, even if that something may have great value, I am going to use it (and thereby shoot the "pristine" value anyway). Keep in mind I have four real pipes so there are no safe queens here. What are you talking about? All Pastor's are LOADED!!!!!! ....Thanks for your service! You will have way more jewels in your crown than I ever will!!! Not a pastor by any means. That little label under the avatar is set by the forum on how long or how many posts or something. And I smoke the heck out of mine.